Last weekend with a help of a friend I made some tamales. They were pork in red chili tamales, the light version, not too heavy and not too spicy. My men loved it, they shoveled one after another, and in 15 minutes only corn husks were laying on the plates. For me clean plate is always a perfect sign that food was good. Although in this case most of the credit must go to my friend as I was a prep-cook this time. It took us about two hours to make it, two hours of laughter and fun. For now I am sharing the pictures only as we didn't do any measurements. She makes her tamales by heart. I have to take one more "lesson" from my friend and then I will post her recipe. My grandmother was the same, she never had a single recipe written down, and she was one of those cooks that was famous in the area for her food. I remember her catering for a big parties, and for some parties during the summer she took me along. I recall a crowd of people giving orders to one another, some arguments at times, but grandmother was always calm and smiling. She would always say a joke or two, specific to the situation, and the whole atmosphere around would change. I asked my dad recently how many events she catered and for how many people. I was shocked by his response: from "small" two hundred people anniversaries to fifteen hundred people weddings! Yes, it's fifteen hundred! From what I remember, the only thing grandma ever wrote down was the menu and how many people were attending the event. The rest was done by heart. Do you have a recipe that you make by heart? I have never had these but they certainly look very interesting. Your photography is very good. Your grandmother sounds like a truly talented cook. I'm a recipe person. I usually change some things when I get to the kitchen. But I do like to cook. It's been a long time since I made tamales but oh, the homemade ones are so good! I make most everything by heart...I don't very often need a recipe! She had help, I remember about 10-15 ladies helping her. For such a big parties they would start a week ahead. Oh, it was so much fun to be around them! I love home made tamales. I use to make them, but have not in a long while. YUM! I cook about 75% by winging it, only 1st timers I use a recipe because I always change them and make them mine anyway! Cannot wait to see her recipe! Oh, I'm sooo happy you came to visit my blog, it's giving me the chance to discover yours! I like it, a lot! Can you believe I never made or eat tamales????? Think I sould try to play with it!!!! I will definitly follow you, Marina! Thank you Kim! I discovered tamales for myself just a few years ago, my kids actually bought it at Trader's Joe and that's how we tried it for the first time. But homemade are far-far better from the store bought. I already have all the ingredients and just need a pot to steam it in. I make nearly everything by heart! I started cooking when I was 6 years old. I remember standing on a chair in front of the gas stove to do it. Now I look back and thank my lucky stars I didn't catch my clothes on fire! My daughter recently started making homemade tamales, and she is supposed to come over and make them for us. I'm dieing to try them! Looking forward to your recipe! I love tamales! I bet these where divine! I had all my recipes by heart but decided maybe a blog would solve that problem! Have a great week! Yes Serena, they were really good, now I know why people love then so much. I have never made tamales but I love them! You're always making those recipes that I've considered but haven't yet tackled (home-made pasta!) so it's good incentive. 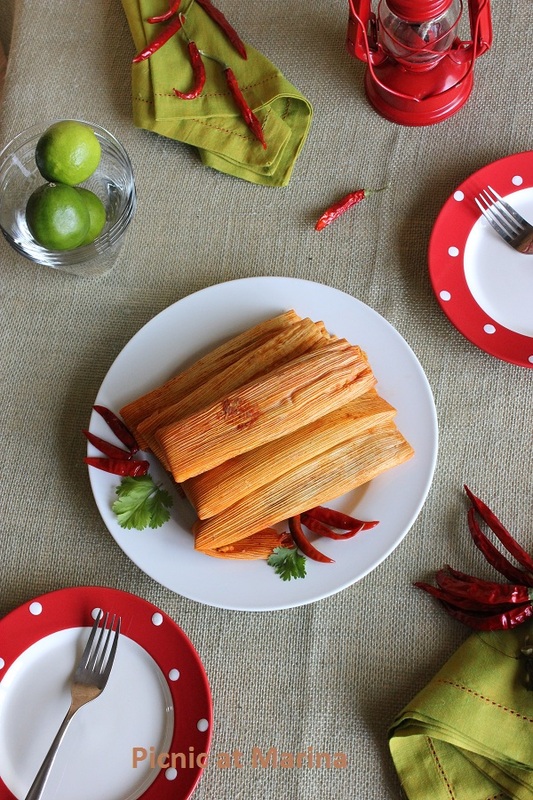 I've never had a tamale so I'm hoping you learn the recipe quickly I'm interested to try them. Lots of my recipes I make by heart but I especially enjoy making chicken curry as it comes out a little differently every time. Beautiful photos, Marina! And, wow, your grandmother was amazing!!!! What a fun story about your grandmother! She was quite amazing and I have the feeling that you take after her! My grandmother was an incredible seamstress. We would just point to a picture of a dress in the JC Penny catalogue and she would get a newspaper and cut out a pattern an away she would go! I had three sisters and before we knew it she'd have 4 cute little dresses all lined up, fitting each of us perfectly! Now when I think of it, it is a lot, but they managed, and had fun along the way too. Your grandmother must have been a great professional Marina. I have never made tamales and these ones look delicious. I am going to wait for the recipe! No, Katerina, she wasn't a professional. She really cooked from the heart. And I think people felt that love and passion in her food. Hi Marina, thanks so much for visiting my blog earlier! 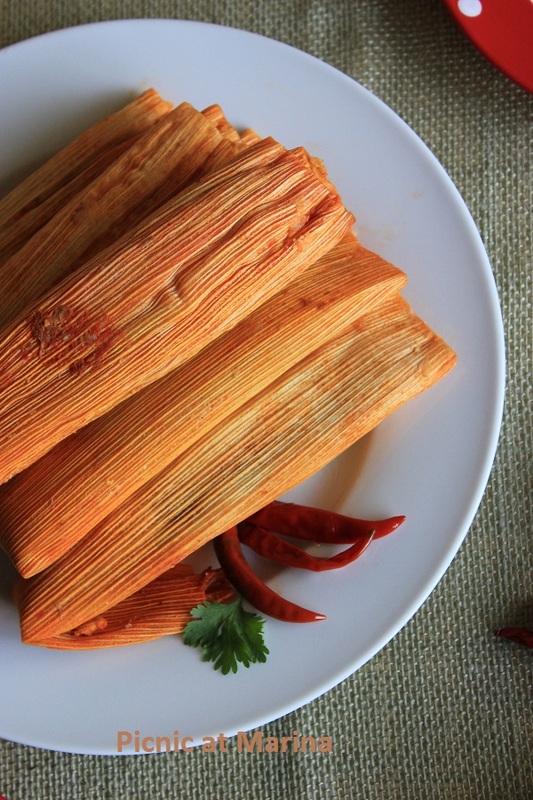 I love the look of these tamales - can you believe, I never had one?! I've seen a lot of them on the web recently but alas they're not common at all where I live (France). I'd love to try and make them myself, but I've definitely never seen those husk wrapper things here. Short of buying them online, do you know if there are any "alternative" methods I could use to wrap them? Tamales are one of my favourite Mexican food with some mild sauce on it...Looks really yummy!